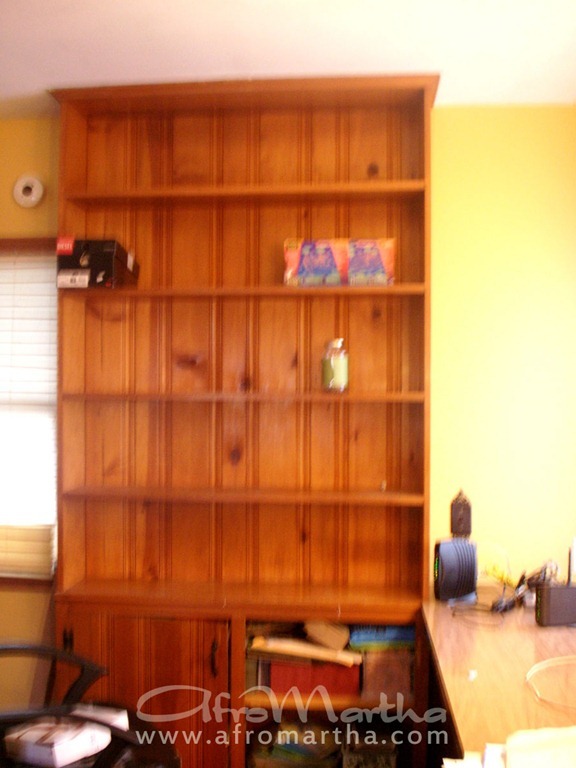 Anyway, here’s the bookcase, phase 1 of my family room re-do. This is a room I’ve avoided being in because I didn’t quite know how to lighten it up to my taste. The room faces south, so it doesn’t get a lot of light. Adding to the cave-like feel is all the knotted pine in dark yellowish/orangish stain. 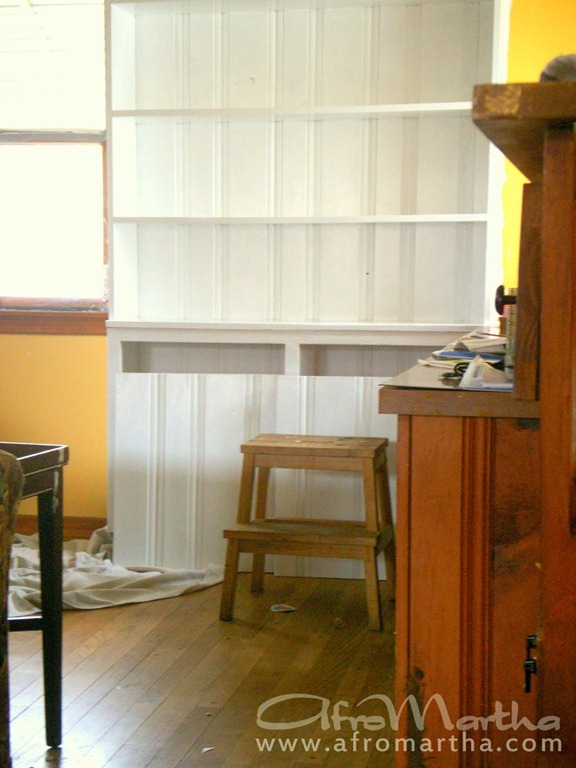 In my attempt to work work with the existing color of wood trim, I painted the walls this unfortunate color yellow. It didn’t look so yellow in the can…It was hard to get a good pic, but I hope you see the beginnings of the transformation. Yes, I know the wood is beautiful and some would consider it a sacrilege to paint over it, but it’s not for me…too cabin-like. I love the way it turned out, don’t you? 1. Wiped down the whole thing with a mixture of TSP and water to get rid of dirt and dust. 3. I painted 2 coats of paint. After the first coat, I wasn’t happy with the coverage. If I’d used 2 coats of primer, I’m certain that one coat of paint would’ve sufficed. 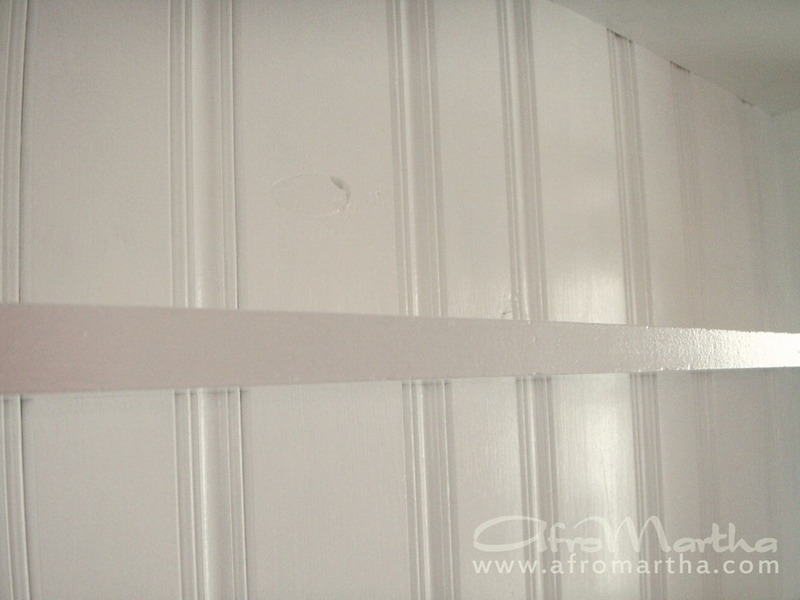 I used Behr Premium paint in Ultra Pure White. I’m letting the paint cure for a couple of days before putting anything on the shelves to prevent scratches. I did my pantry shelves the same way and had no problems with peeling or scratching. Gawd, I have so much painting to do! Just imagine, not only my family room, but also my kitchen walls and cabinets are paneled like this. Fun, fun. This is AWESOME. I am obsessed with white. thank you! after doing the color thing, I realized that I really prefer neutral walls adorned with colorful accessories. Of course your Aunt’s print takes center stage in this room. 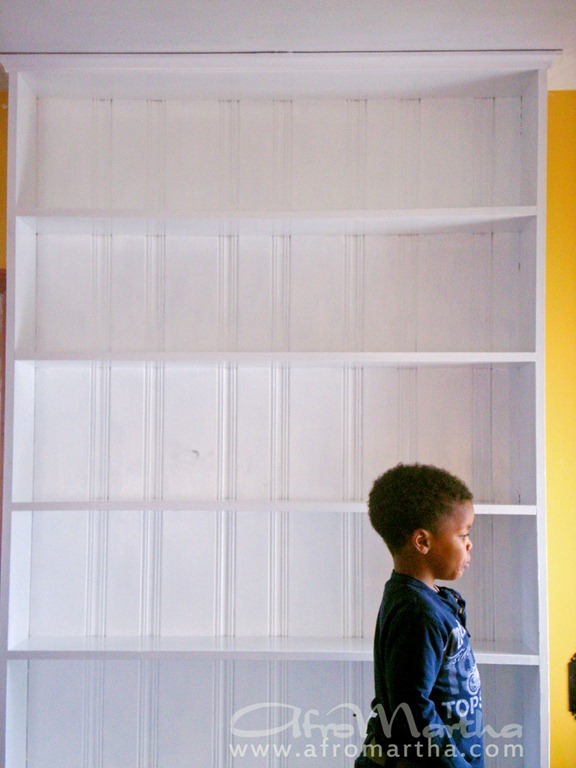 Funny thing…I had a dream last night that I was installing a bookcase, and reading this post put a smile on my face.